Miss Jessie Tillery was a 5th, 6th and 7th grade language arts, social studies and religion teacher. She had a passion for teaching, and she loved her students, colleagues, and St. Cecilia School. Personally, Jessie was an explorer, one who sought discovery and was eager to learn. She was adventurous and easily embraced opportunities for new experiences. She was fortunate to be able to study abroad and travel to places where she was able to meet new people and experience regional cultures and histories. A hope that Jessie had for all of her students was that, like her, they could partake in similar opportunities and gain knowledge and insight in ways that only travel uniquely allows. The Explorers initiative seeks to remember and honor Miss Tillery, her adventurous spirit, her enthusiasm for life, and her love for both teaching and her students. It is St. Cecilia’s sincere wish that through Miss Tillery’s Memorial Fund, the inspiring example that Jessie set both in and out of the classroom will continue through deserving students experiencing once in a lifetime learning opportunities. Jessie Tillery Explorers Scholarship - An awarded scholarship that covers the full (in some circumstances partial) costs of a learning based trip. These include transportation, food, lodging, admission/ticket fees, and incidentals. The scholarship does not include personal spending money. The number of students attending trips each year may vary. The scholarship will not cover the costs of staff acting as chaperones on the trip. Purpose - To establish a student scholarship program that honors Miss Tillery and reflects her love of teaching and joy in learning and living life by providing learning opportunities for deserving students through travel experiences. 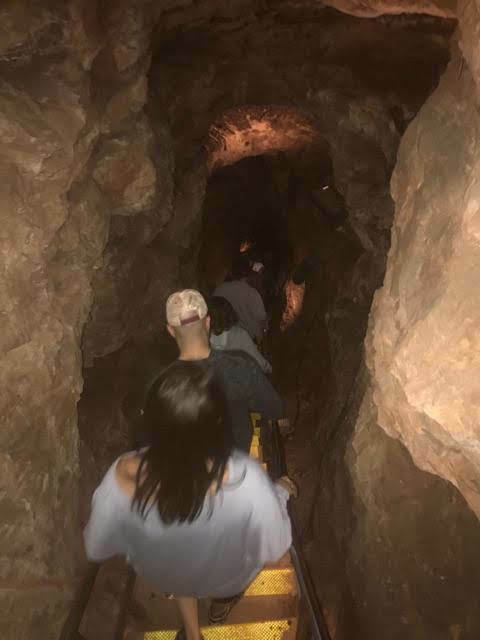 Experiences - Students awarded scholarships will be afforded the opportunity to travel to destinations throughout the country where they will acquire knowledge and apply skills in history, geography, English, reading, science, and math. Each trip will also incorporate faith experiences and a service oriented project. Travel - A yearly trip to extend one week will be planned by St. Cecilia staff and will typically take place during the summer months; however, in some years, the trip may take place during the calendar year. Destinations - Trip destinations will vary year to year and be determined by St. Cecilia staff. Locations that allow for wide ranging experiences within core content subjects for students will guide trip itineraries. Scholarship Eligibility - Any St. Cecilia student in grades 6, 7, or 8 may apply for the Jessie Tillery Explorers Scholarship. Student Requirements - Interested students will be required to attend any pre-trip preparatory classes, complete all pre-trip work, in-trip work, and post trip work. They will be expected to strive to serve as role models and student leaders for their peers in and out of the classroom. Additionally, they may be requested to act as an Explorer ambassador who could share the value with various audiences of their experiences. Selection Process - Students interested in being considered for the Jessie Tillery Explorers Scholarship must complete the Explorers application form and interview with a selection team of staff. Timeline - The following outline will guide each year’s trip and scholarship selection. Explorers Pledge - I will honor the memory of Miss Tillery by exhibiting a genuine commitment to live my Faith, Persevere, show Respect, and be a person of Integrity. I will strive to create a Culture of Excellence within my class and throughout St. Cecilia school.